Alex provides quality Residential,Commercial, Interior and Exterior painting, Waterproofing and Pressure Cleaning. 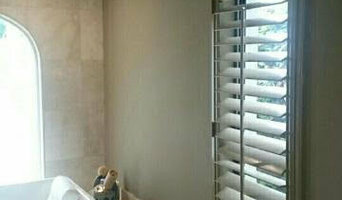 Decorative Finishing Company, specializing in modern venetian plaster. Serving Naples since 1990, Renaissance Décor is the design community’s preeminent faux finishing and decorative painting resource. 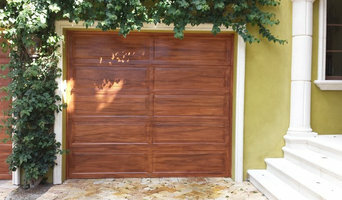 Our goal is to achieve extraordinary, lasting finishes using the highest quality materials. Renaissance Décor specializes in large-scale high-end residential projects, small projects and commercial, working in the finest communities such as Grey Oaks, Mediterra, Port Royal, Bay Colony and Pelican Bay. Known for soft, subtle finishes, Renaissance Décor has won numerous awards including the Sand Dollar special feature award and has been seen in Architectural Digest. We offer many different finish effects: color-washing, marbling, leather, textured finishes, custom plaster designs and venetian plaster. Our team of artists can create accent artwork, stencils and murals for almost every size space and application. In addition, we paint small furniture and accessories. We encourage you to see our faux finish sample book. There are many new and exciting finishes to see. Should you require any further information or custom samples, do not hesitate to contact us. Thank you for considering Renaissance Décor for your faux finishing needs. Murals & Faux Painting LLC is located in Naples, Florida. We specialize in decorative painting, murals, faux finishing, interior and exteriors. We have done work for private residencies, schools, city halls, churches, doctors' offices, t.V. Shows, hotels , restaurants, etc.......We offer free estimate, free touch up within a year, customers satisfaction, high quality work and worldwide experiences. Hudson Decorative Painting, INC. takes a your living space and transforms it into your custom creation. We use a wide varitey of techniques such as gliding, glazing, venetian and lime plaster or textures to transform your ordinary walls into something that is beatiful, elegant and unique. Colors of Florida Painting Inc has always operated under strong values aimed at exceeding client needs. Our communication channels are always open—our relationship with our clients begins on the first day of contact, and only ends once they’re fully satisfied with our work. When you hire our services, you can count on us for the results you want and need. Get in touch today, and discover the advantage of working with Colors of Florida Painting Inc.
Faux Fum is a decorative painting company that specializes in faux finishes, vintage inspired painted furniture and home decor catering to residential and commercial clients. Established in 2004, we are licensed and insured. The most current products on the market today are used and we are constantly striving to create unique and exciting ideas for our clients. We can turn white-walled interiors into warm and personal spaces inspired by the past. We make floors, walls, woodwork and ceilings focal points in their own right. We transform worn out furniture into the treasured heirlooms of tomorrow and inexpensive accessories into masterpieces embellished with silver and gold. Unique wall finishes . Venetian plaster, Lusterstone, Colorwashes,Woodgraining, Refinishing kitchen cabinet and furniture. Many builders, designers and DIY experts say that painting is one of the easiest tasks for a homeowner to handle. But plenty of prep work, elbow grease and finesse are involved, and if you don’t have the time, ability or inclination to complete a painting job, hiring a Naples Park professional is the way to go. Plus, speciality paint treatments, wallpaper and other wall coverings, such as grass cloth, are tricky. Your Naples Park, FL home may need help from a Florida pro to make any of those happen. Paint and wall covering contractors are experts in the specs, application and removal of paint, wallpaper and other wall coverings. They can help you choose the paint color and finish, wallpaper style or specialty covering that best suits the needs of your Naples Park, FL home, whether the job is for the interior or exterior. In addition, they can strip off old paint or paper and prepare surfaces through sanding, skim coating and other processes. Many can handle decorative paint treatments and materials such as plaster. A paint and wall covering contractor might work closely with Naples Park, FL interior designers, builders and others, too. Here are some related professionals and vendors to complement the work of paint & wall covering dealers: Interior Designers & Decorators, Artists & Artisans, Window Treatments, Carpet Dealers. Find a paint and wall covering contractor on Houzz. 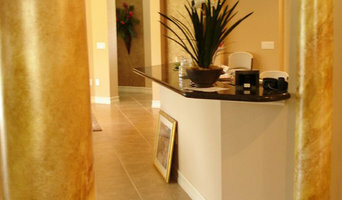 Narrow your search in the Professionals section of the website to Naples Park, FL paint and wall coverings. 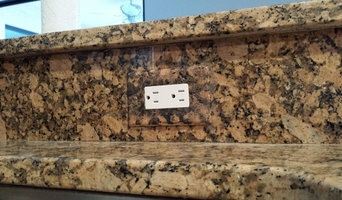 You can also look through Naples Park, FL photos to find examples of paint jobs and wall coverings that you like, then contact the professional who worked on them.